Category: Dresses. Tags: Bohemian, Boho Chic, Boho Style, Collyer House, dress, fashion, Fashioniasta, Fashionista, Lace Dress, Tank Dress, vintage. 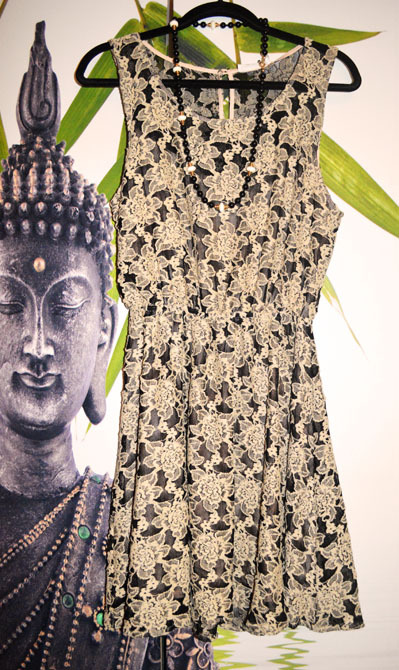 Take yourself out for a spin in our elegant, chic black & cream Jakarta Rose Gypsy Dress-perfect for the luxurious bohemian babe. This tank dress is lightweight & flowy- perfect for a warm summer night; or, dress it up with a black leather jacket, stockings & booties to welcome in the fall. 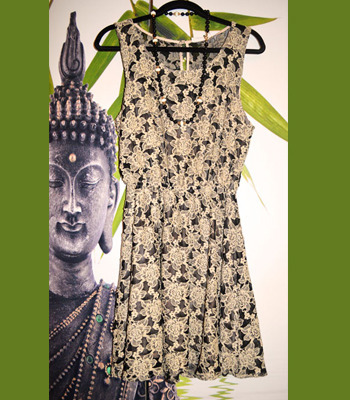 No matter where you take this dress, one thing’s for sure, you will definitely be sure to turn heads & drop jaws.